Where to Play Mystic Dreams for Real Money? Mystic Dreams takes players back to the time when Native Americans still held sway over the vast expanses of American wilderness. The fact that Native Americans now have a major stake in the US gambling market only serves to make this slot even more apt! The theme is certainly different from the norm, which can only be a good thing, however there are a few things that Microgaming have gotten lazy with, with the most obvious being the generic symbols found spinning on the reels. Sure, there are Native Americans and bald eagles, but there are also kings and queens, just like you’d find at many other online slots. Aside from the visuals found at this slot though, what else can be said about it? 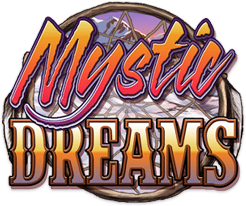 Well, the first thing to say is this: Mystic Dreams is perhaps the most chilled out slot you’re likely to find online. In fact, if it weren’t for the numerous prizes, you could find yourself dozing off thanks to the chilled out vibes this game gives off. This relaxed feel means that this is the perfect slot for those who shy away from the all-action slots out there, which often value excitement over actual winning opportunities. How to Play Mystic Dreams Casino Game? If you’ve played an online slot before, you should find it easy to adapt to the gameplay at Mystic Dreams. If not, here’s a quick rundown of how to play. Firstly, you need to select how much you want to bet per spin, and this can range from tiny amounts through to pretty large ones (although some other slots have higher maximum bets). There’s no need to choose how many paylines to play, as all players have to play the full 243. Once this decision has been made, simply spin the reels and wait to see how much you’ve won. If you’re feeling slightly lazy, there’s also an Autoplay feature, which will spin the reels for you. As already mentioned, this is a relaxed slot, so don’t expect the gameplay to hit you in the face with excitement every time you spin. The base game does produce some regular wins though, with some coming in at 30x the bet. Of course, there are some incredibly lucky players who manage to hit the jackpot, but this is the exception, rather than the norm! Whether you enjoy the gameplay at this slot really comes down to personal preference, so why not spin the reels today and make up your own mind about Mystic Dreams? As with all good slots, you’ll find some bonuses when you play Mystic Dreams. These are designed to increase the levels of enjoyment, but also have a much more important role: they can provide some of the slot’s biggest wins. When the bonuses are activated, they really change the pace of this slot, which is great, as you can’t stay relaxed for too long! The free spins are the only real bona-fide bonus at Mystic Dreams, and they are really spectacular – both in terms of potential prizes and the way they transform the look of the slot. Players can activate it by spinning in three or more scatter symbols (represented by the totem pole), remembering that wild symbols can be used to substitute. When this happens, the sky will turn dark and the stars will come out, completely changing the look and feel of the game. During the free spins, the wild symbols are incredibly useful. This is because they not only replace other symbols, but combinations featuring them will have a multiplier added to them. Should the wild be on the second reel, a 2x multiplier is added; a 3x multiplier is added on the third reel; while a 4x multiplier is added on the fourth reel. What’s more, these multipliers work in unison, so a win with wilds on reels three and four, for example, would have a total multiplier of 12x added to it.